POWER’BY – the name of 3DEXPERIENCE PLM overlay? How to overlay competitors. In my view, this is a new name in CAD / PLM competition game. It has variations of names and forms, but it is about the same. Decades ago it was about CAD formats, later on it was about how to block PDM / PLM integration and nowadays is about how to provide vertically integrated platform. The “overlay” game is played by all vendors in PLM space – small and big. Here is an example of Aras Corp – Overlay or Replace deployment method. I covered Aras Overlay strategy last month during PDTEurope event – Aras PLM “overlay” strategy explained. In my view, Dassault Systemes is also playing an “overlay” strategy. I shared my thoughts about it few weeks ago – 3DEXPERIENCE and PLM overlays. 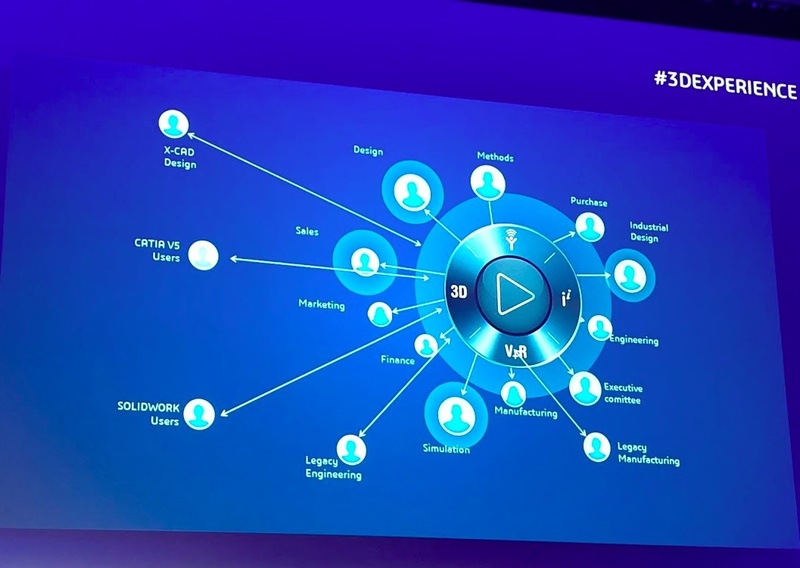 This next phase in realizing their strategy encourages companies to select Dassault Systèmes’ 3DEXPERIENCE platform as the platform of choice, without needing to worry about how to deal with their legacy solutions, as they can readily be integrated. In my view, the name for 3DEPXERIENCE PLM overlay is “POWER’BY” strategy, recently shared by Jim Brown. You can get a glimpse of what is that in Jim Brown’s article – Dassault Systemes Strategy 2017+”. The new POWER’BY initiative and branding shares some exciting news for those that haven’t moved to CATIA V6. Dassault Systèmes is now opening up the 3DEXPERIENCE Platform to work directly with CATIA V5 and SOLIDWORKS. This is an extension of the backward compatibility with CATIA V5 announced earlier. The capability will allow users to launch existing applications and collaborate on them in the 3DEXPERIENCE Platform. The first applications are CATIA V5 and SOLIDWORKS, but Dassault Systèmes has intentions to extend this to competitive solutions including Siemens NX, PTC Creo, Autodesk Inventor, and others. This allows non-CATIA models to be brought into the platform natively to leverage other capabilities, most notably DELMIA for manufacturing and SIMULIA for advanced analysis. The goal appears to be more inclusive and to make platform capabilities easily accessible to all regardless of their chosen design tool. So, what is actually “POWER’BY”? Is it technology? product? vision or something else. According to Jim Brown’s it is more philosophy and direction rather than a specific product. I’d probably disagree with Jim. Although, POWER’BY is not announced as a product, my hunch POWER’BY is a name of product information model overlay that will cover all solutions once developed and acquired by Dassault Systemes. 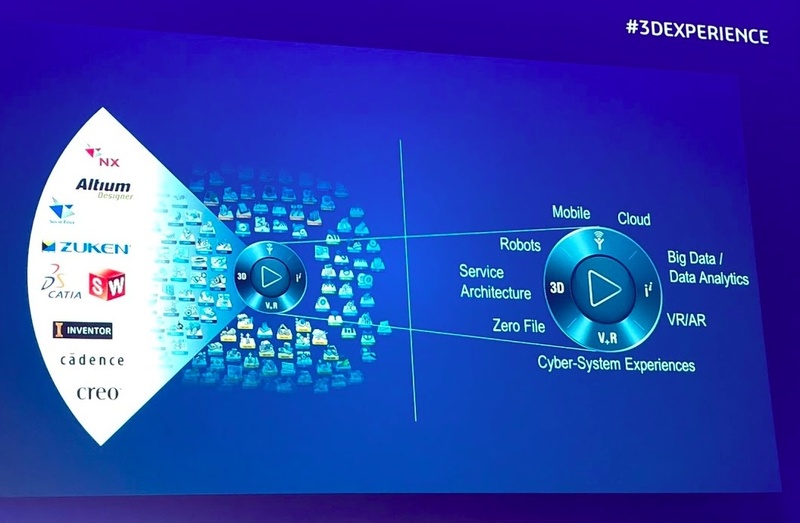 3DEXPERIENCE is a collection of heterogeneous applications that supposed to behave and act seamlessly . In every “platform” integration of existing components is a big deal. And Dassault Systemes has many of them – starting from own products such as Solidworks and CATIA V5, continue with other brands acquired such as MatrixOne, Geovia, Biovia, Delmia, etc and non-DS applications (CAD, PDM, PLM and even ERP tools). To bring them together, CATIA V6 product information model (or whatever other else name will be used by DS) will have to provide a common denominator to align platforms and applications. The model will have to run on top of MatrixOne data model, because this model is a very low level of 3DEXPERIENCE platform. Michael, thanks for your comment. Yes, I’ve learned few things since this blog was written. POWER’BY is indeed an evolution of MatrixOne Designer Central, which potentially can take 3DEXPERIENCE future away from flexibility of MatrixOne engine, but I have no enough data points to judge. Slides I captured not saying much about data models, but indeed present 3DX as an overlay above CAD files.